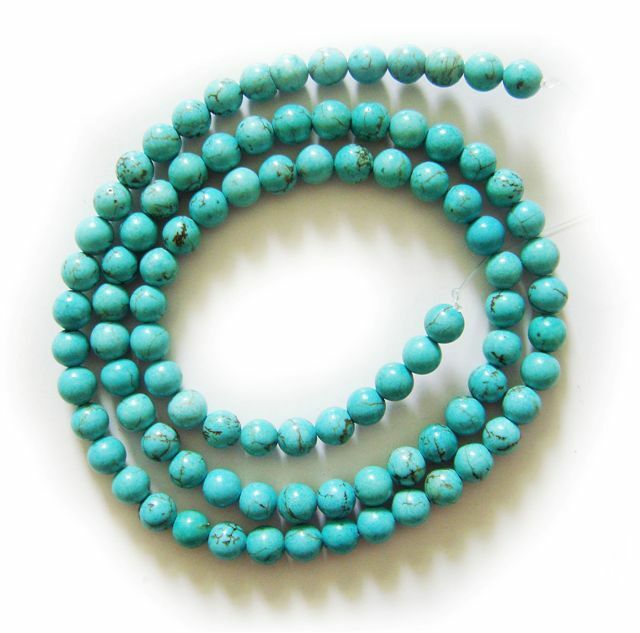 Product categories of Turquoise, we are specialized manufacturers from China, Chalk Turquoise Beads, Turquoise Cluster Bracelet suppliers/factory, wholesale high-quality products of Turquoise Rose Necklace R & D and manufacturing, we have the perfect after-sales service and technical support. Look forward to your cooperation! 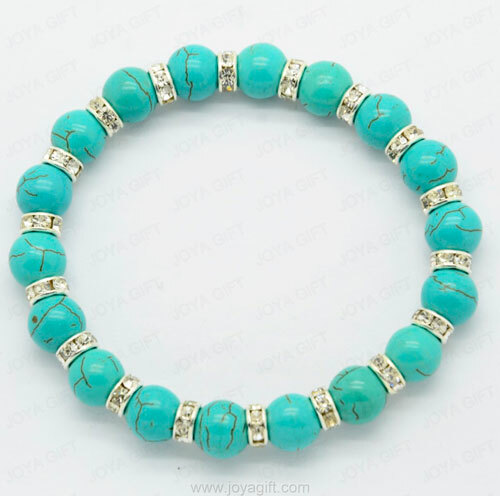 If given a turquoise by a loving friend, that stone would protect the wearer from negative energy and bring good fortune. The turquoise is the symbol of friendship. It also brings peace to the home. Turquoise carries great wisdom of basic truth within it. It is one of the oldest stones known. This is a stone that a person must learn to attune to instead of the stone attuning to the person. It is important that the owner of a Turquoise give it the proper attention. Use with copper to increase the power of turquoise. Turquoise is a stone that has been prized for many years. 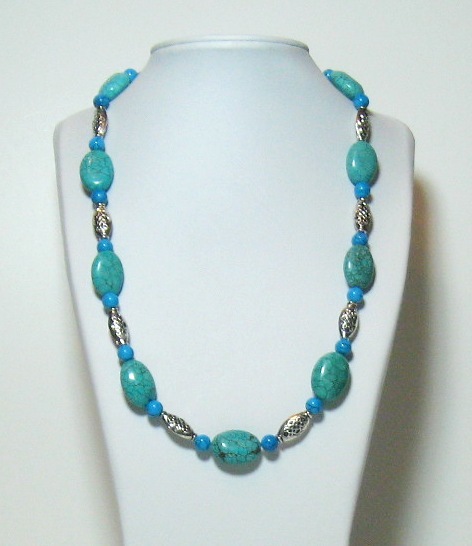 The ancient Egyptians used turquoise in jewelry. Turquoise is greenish-blue or pale sky blue. The name means "Turkish stone" as it came to Europe by way of Turkey. Turquoise was mined more than 6,000 years ago in Sinai. The best turquoise comes from Iran, but not much is exported now. Much turquoise comes from Mexico and the United States today.